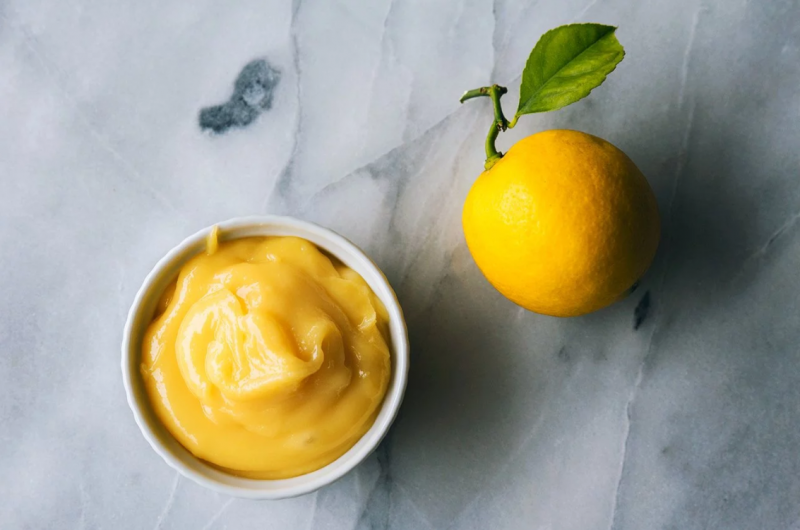 LEMON CURD1. 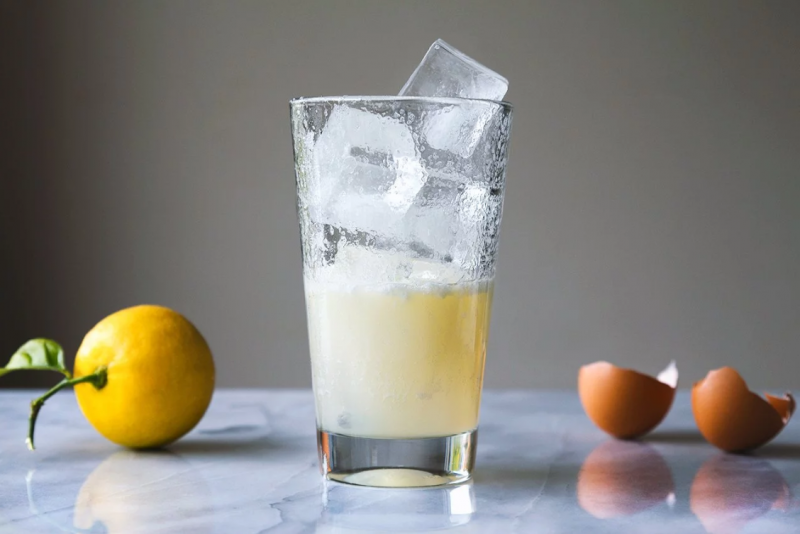 In a heavy saucepan, whisk together lemon juice, lemon zest, sugar, and eggs. 2. Whisk in the butter and cook on medium-low heat. Make sure to whisk constantly until the curd is thick and the first bubbles appear on the surface (around 6-8 minutes). 3. 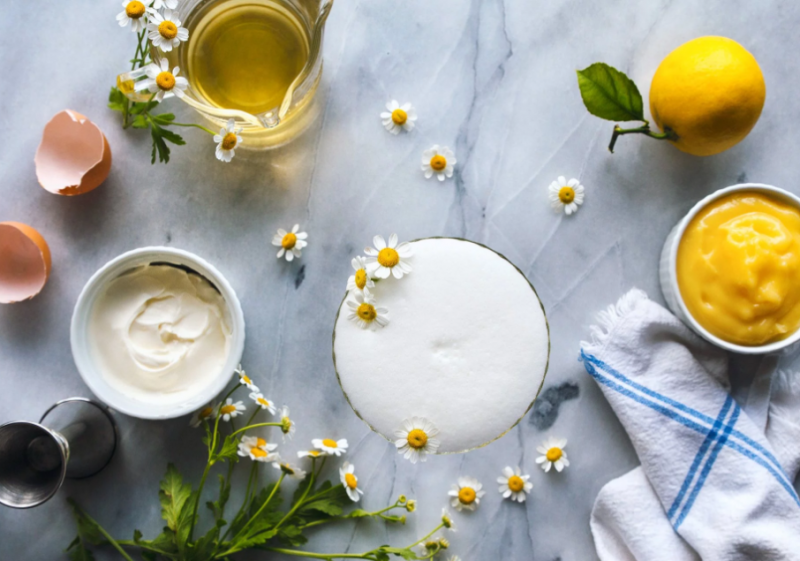 Transfer the curd to a bowl and chill until cold (for at least one hour). 1. In a medium saucepan, add sugar and water and cook over medium heat until the sugar has completely dissolved. 2. 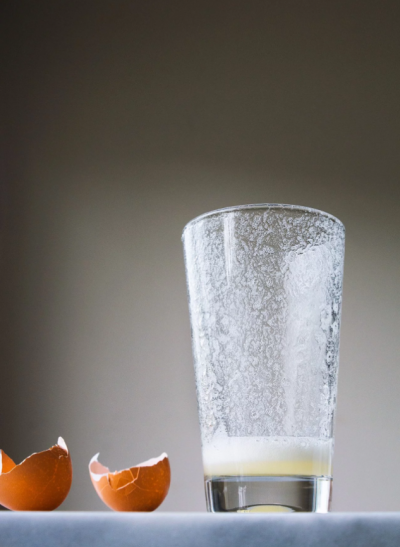 Add the chamomile, remove from heat and let steep while the syrup cools to room temperature (around 15 minutes). Strain through a fine mesh strainer and store in the refrigerator for up to two weeks. 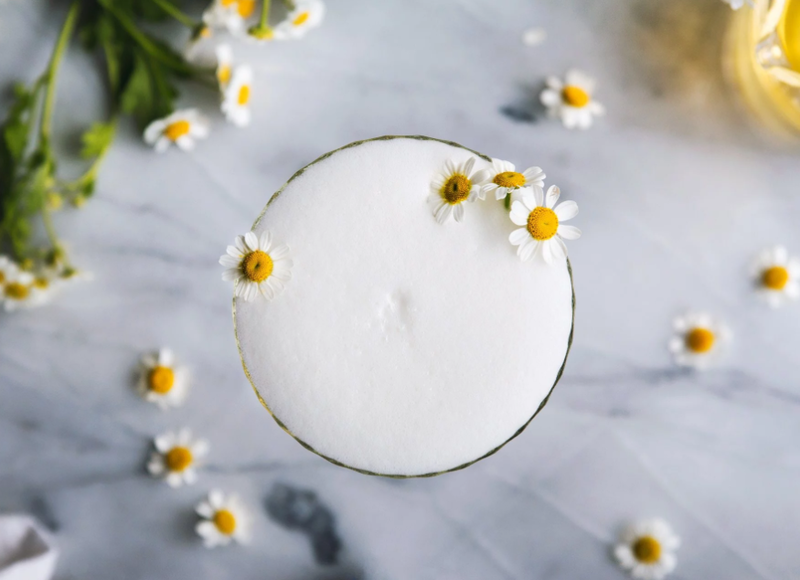 Add the egg white, gin, chamomile syrup, lemon juice, elderflower liqueur, yogurt, and lemon curd, and dry shake (without ice) to combine. Fill shaker with ice and shake vigorously. 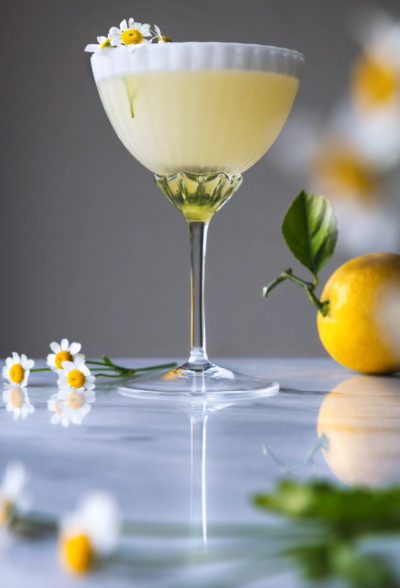 Double strain into a chilled coupe glass and garnish with fresh chamomile flowers for decoration.